Le Toy Van's beautiful wooden furniture sets are a new dimension in dolls house furniture, offering the highest standards of attention to detail and quality. Whatever room you're looking to furnish, you can be sure your dolls house will look immaculate, stylish and seriously well appointed. 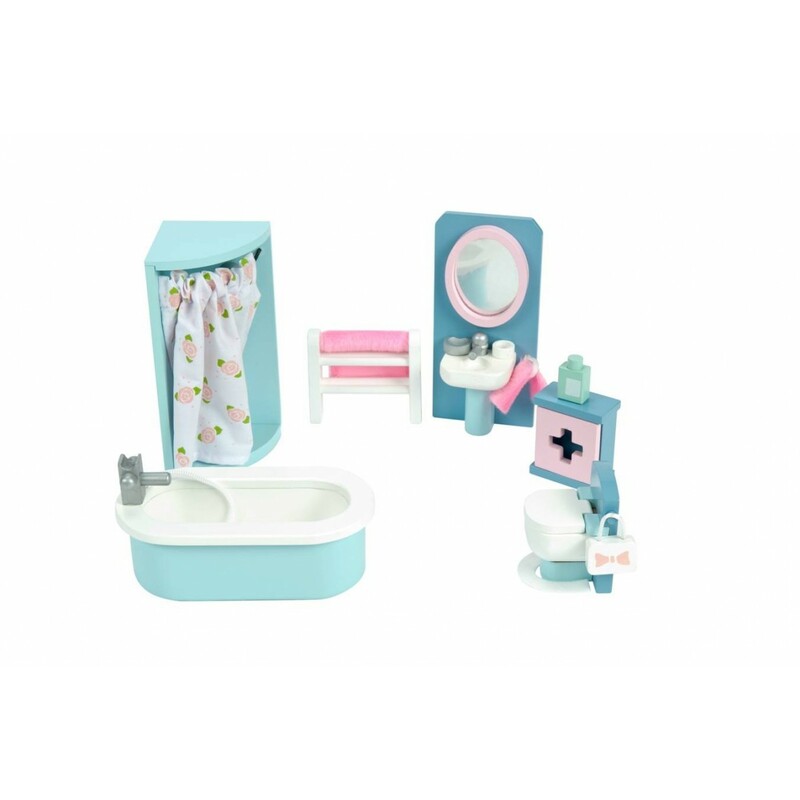 The Daisylane Bathroom set includes a shower unit, bath, sink and toilet, and all the accessories included as pictured. Le Toy Van's furniture sets are beautifully made and full of quality, quirkiness and detail, and make any dolls house feel like a home. Each of the Le Toy Van furniture sets are packaged in a beautiful clear fronted presentation box, making them a stunning gift. We love the very cute first aid kit and the flamingo pink bath mat!